A cluster of prairie turnips. Where some see a prairie-scape of oblivion, others see a culinary buffet. Just last night I was cruising around in some old digital photos on the desktop, and I came across a couple shots of prairie turnips. I photographed them a couple years ago in the kitchen of a downtown Bismarck apartment I used to live in (the historic Mason Building), I think around 2008 or 2009. It is customary to braid the turnips by the root ends, and then hang them to dry. 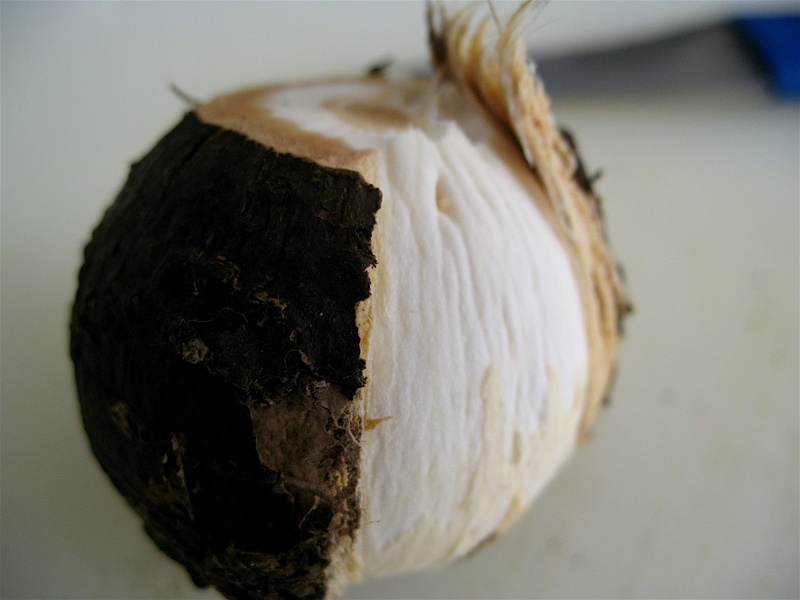 Just like mushrooms (and other dried goods), they will reconstitute in liquid or water. I made turnip soup out of this batch. 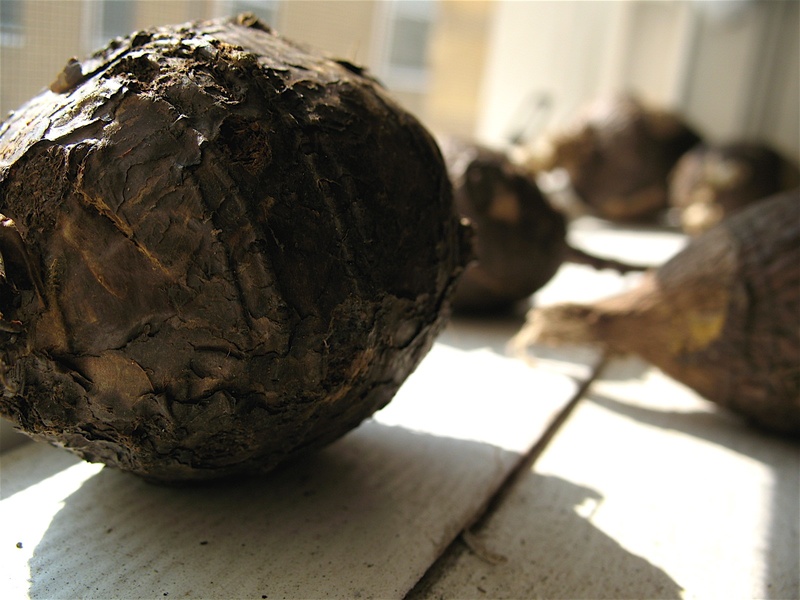 With the husk pulled back, this is what the edible flesh of a prairie turnip looks like. This entry was posted on Wednesday, August 7th, 2013 at 4:29 pm	and tagged with Food, Great Plains, Lakota, Memory, Native America, North Dakota, South Dakota and posted in Uncategorized. You can follow any responses to this entry through the RSS 2.0 feed.